Couldn’t just bring the whole cow? 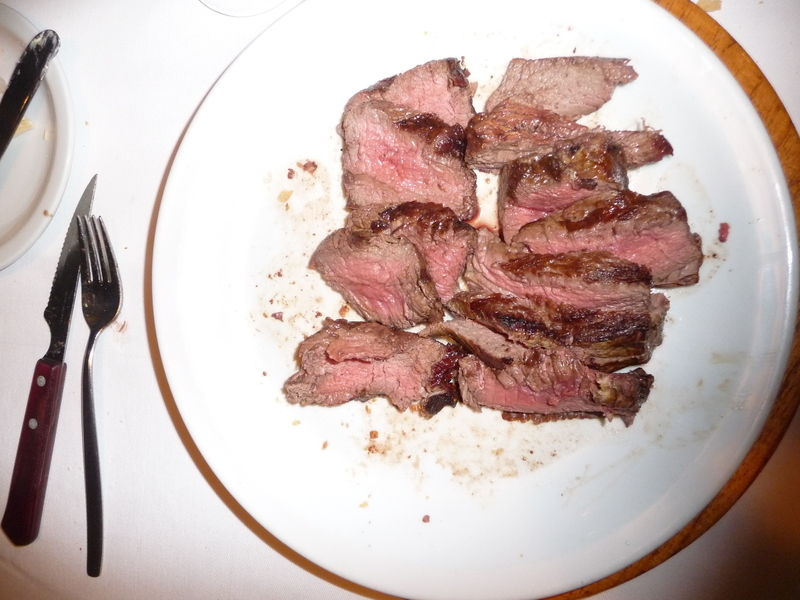 If you live in Argentina, Bife de Lomo isn’t exactly a strange meat, but anyone traveling there from the US is bound to find this cut of beef strange. 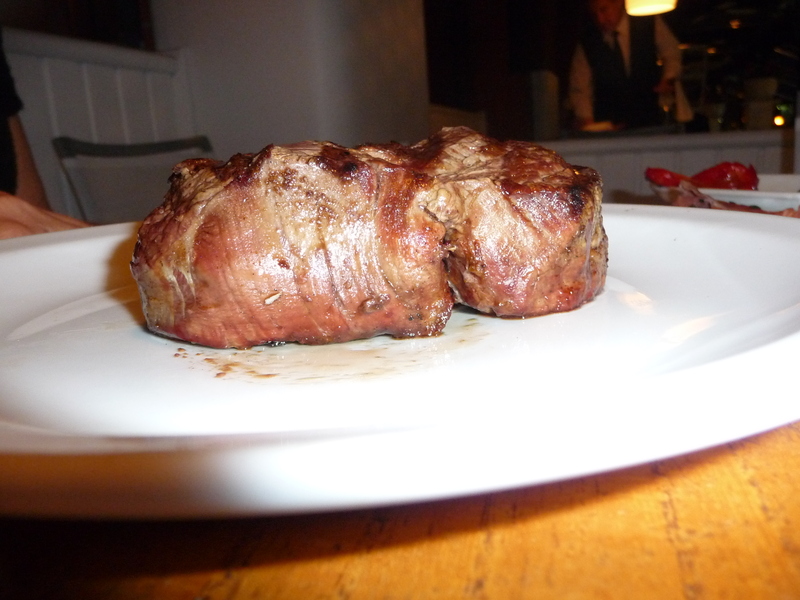 No, it isn’t from some strange part of the cow, and is in fact essentially the same as a Filet Mignon, but this Argentinian beef should never be confused with the typical Filet Mignon. Weighing in at at least 12 ounces, this beef simply melts in your mouth, saving you all the annoying time associated with chewing and allows you to get more meat in your mouth faster. Perhaps even more impressive than the size is the fact that they are able to cook this meat so perfectly. 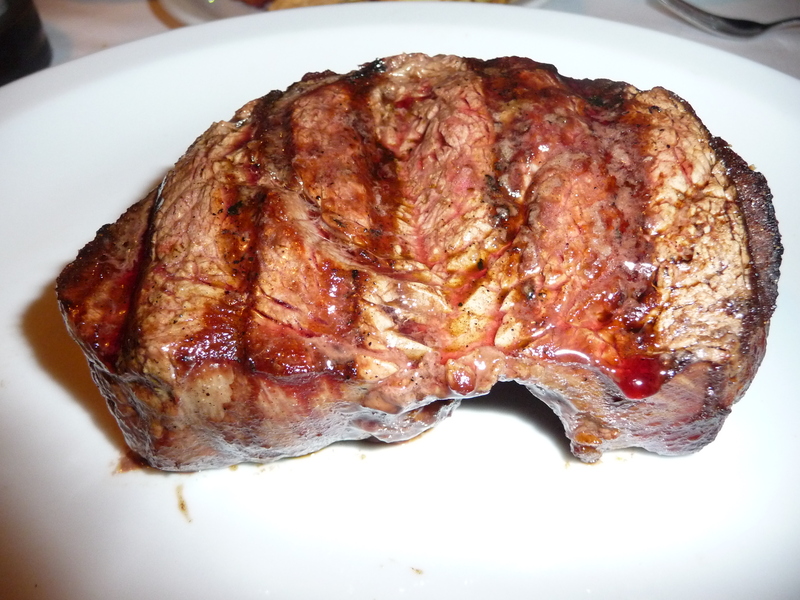 Considering this beef is 1 1/2 – 2 inches, thick, you might expect this to be completely raw inside. Thankfully the Argentinians have figured out how to cook it just right. This particular Bife de Lomo comes from a restaurant called Happening in Puerto Madera, Buenos Aires, which has a great view of the Rio de la Plata. Costing about 13 bucks, this beefy feast was a steal and could be found even cheaper in other parts of Buenos Aires. Not only was it a great price on its own, but since it was so big, it provided the meat for steak sandwiches the following day. 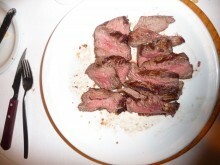 Stranger meats can certainly be found in Argentina, but Bife de Lomo is one worth eating again and again. Hi, im Argentinian, and it`s called bife de lomo, not loma! Lomo: back of an animal. Thanks, I’ll change that immediately. Does loma mean something offensive? I actually visited that restaurant a couple years ago. All the steak they had there was fantastic, most tender steak I’ve ever had and all the prices were a steal. They also had the most unique urinal in their men’s bathroom I had ever seen. It looks like Australia. Are you sure it’s not from Australia?